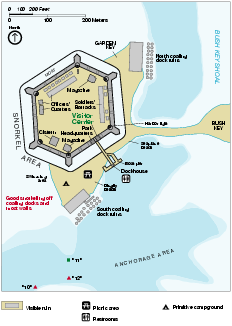 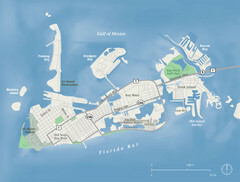 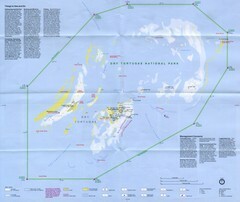 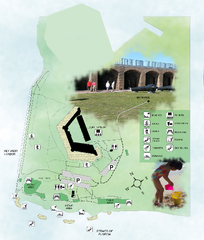 Detail Map of Garden Key, Dry Tortugas National Park in Florida. 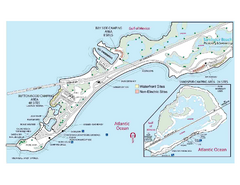 The park is located almost 70 miles west of Key West in a cluster of seven islands, composed of coral reefs and sand, called the Dry Tortugas. 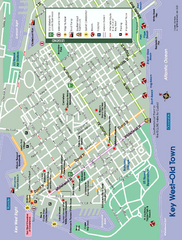 The park is open all year.